Apple has finally released the first new AppleTV model in several years. What was once considered a “hobby” by Steve Jobs has finally matured into an impressive multimedia device! The 4th version of the AppleTV has a familiar shape and footprint but it’s at least twice the height (and heavier too). The remote has undergone a major upgraded to include a touch screen and Siri integration as well as an internal, rechargeable, battery that is reported to last up to three months of regular use (charged by the now Apple-standard lightning cable). I ordered the 64GB unit for $199 on the first day it was available for pre-order (Apple also offers a 32GB device for $50 less). Being impatient I opted for the next day shipping option in the hopes of receiving a new toy in time for the weekend. Well it didn’t happen. My package was stuck on a loading dock in Tennessee and didn’t leave until sometime on Sunday. Apple refunded my overnight shipping cost which was appreciated (I had to call them to get this done though). I love the ability to get detailed tracking of packages but this had the reverse impact as the shipment didn’t get updated for days. While reviewing the Apple forums full of other people waiting for their shipments I learned about a carrier in Europe that not only tells you the status of your package but you can see the progression on a real-time map. If that wasn’t cool enough you also know the name of the delivery driver along with a 30-minute delivery window (also updated in real time). Talk about stalking the delivery Guy! Being an early adopter can be fun but it has its frustrations as well. Physical setup of the new Apple TV was relatively smooth once I figured out a work around for the missing “optical audio-out” (S/PDIF) I was using with the last model. The App Store, which is one of the big selling factors of this new model, was not very exciting the first couple of days. Not a lot of “must have” apps and nothing was categorized so finding apps to download and try out was not as easy as it should have been. Now that things have been up and running for a few weeks the store is getting better and more useful apps are starting to become available. The Siri remote is the real star here. With it you can basically ask for a particular movie, actor, or genre and a list of options magically show up on the screen complete with a list of where you can view the content and pricing (if any). Right now this search is limited to Netflix, Hulu and the Apple Store but it’s supposed to be opening up to other services soon. This is a similar feature that Roku has had for a while but dictating with your voice is the new (and better) input method. I’ve written two posts about my Cord Cutting project and how it’s been going. 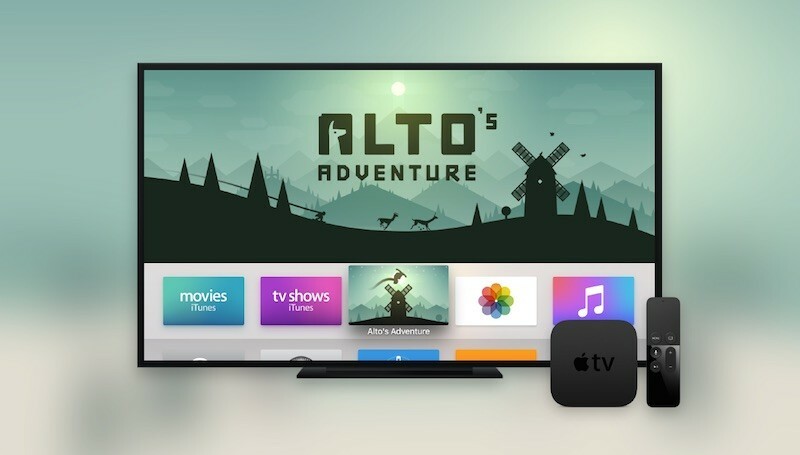 The new AppleTV has made the transition from Cable to Over The Air (OTA) content and streaming media a lot easier and the App Store keeps getting better every day. I think as this platform matures there could be some interesting capabilities surface that will make the 4th generation AppleTV an integral part of the entertainment stack. It’s time to start thinking about the next electronic purchase and I’m pretty sure it’s going to be a TV upgrade. My 38″ Plasma has served me well for many years but 55-60″ of UHD (or 4k) video sounds very appealing. And the prices keep coming down to the sub-thousand level which makes it a more attractive buy. I’m wanting to get a bigger screen and possibly install it over the fireplace. I’ve heard good and bad things about this mounting location but after seeing an articulating wall mount that allows you to pull the TV down in front of the (unlit) fireplace for a better viewing angle I think that’s the way I’m going to go. I’d love to hear from any of you who have feedback on the over-the-fireplace mounting option. Is it that bad? I’m going to be 15+ feet away from the screen so that makes the viewing angle relatively flat (that was the main complaint from people who chose the higher mounting position). Thoughts? Please leave them in the comments section below.